ProLung is committed to the highest standard of quality management. 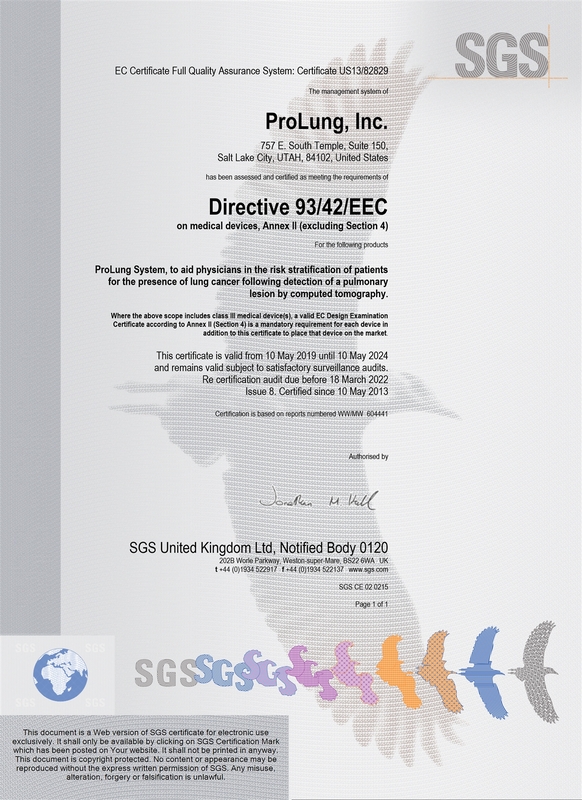 The ProLung Test has obtained CE Mark which permits the product to be sold throughout the European Economic Area (European Union member states plus Iceland, Liechtenstein and Norway, Switzerland, and Turkey). CE marking certification requires a comprehensive quality system program, technical documentation, and data on the product, which are then reviewed by a Notified Body (an organization designated by the national governments of the EU member states to make independent judgments about whether a product complies with the EU MDD requirements). 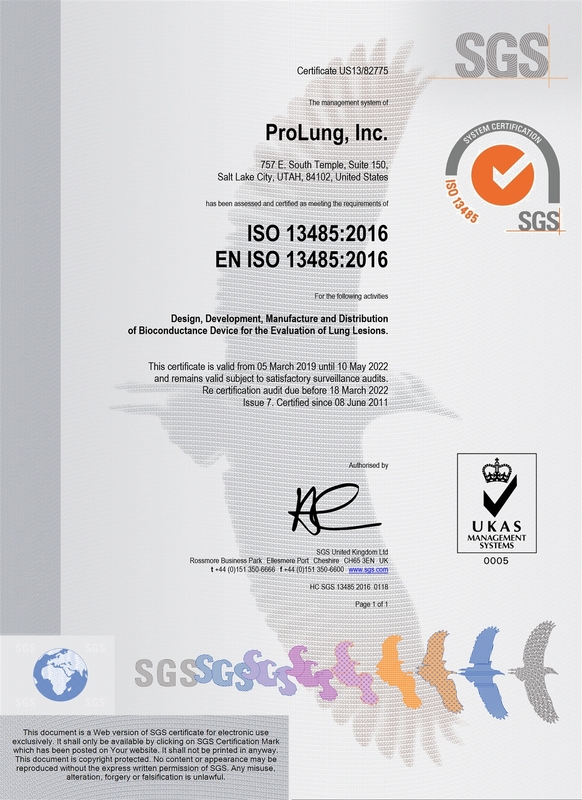 ProLung manufactures its products under a quality management system (QMS) that is ISO 13485 certified. Compliance with the ISO 13485 standard, for medical device quality management systems, is required for regulatory purposes. ISO standards are internationally-recognized quality standards that provide requirements, specifications, guidelines, and characteristics designed to ensure that we develop and manufacture quality medical devices fit for their purpose. ProLung is committed to supplying superior products that meet product specifications and applicable regulatory requirements through technical innovation which are safe and effective and which are being continuously improved. The focus of all activity is upon the improvement of the quality of life for patients and to continually evaluate suitability, maintain effectiveness and improve the ProLung Quality System and its products.